This is a super fun new addition to our shop...step by step trading cards! And the best part is, we will include one of these cards for FREE with any order of $50 or more! Collect them, trade them, use them for a starting point for your own practice sessions, or pass them around at your next jam to get the ideas going! 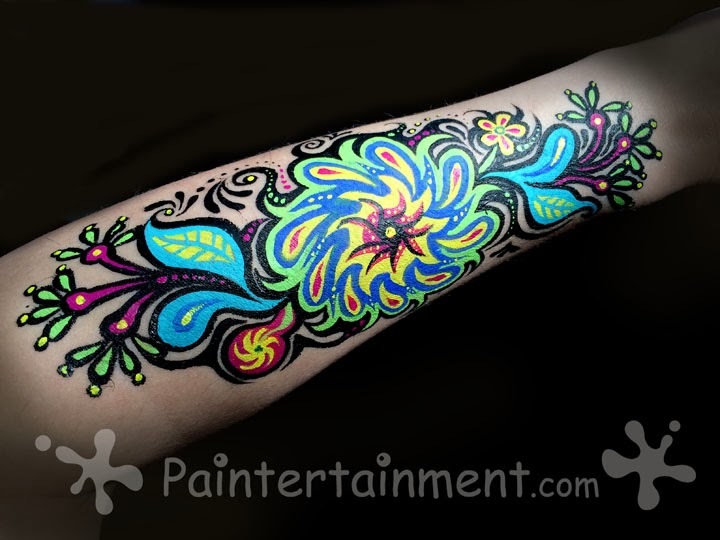 We will have an assortment of cheek art, masks, full faces, and other body art. Every card is printed in full color, and each design will show 4 steps. And don't forget, on top of these fun cards, we are still offering FREE shipping on all orders of $100 or more! 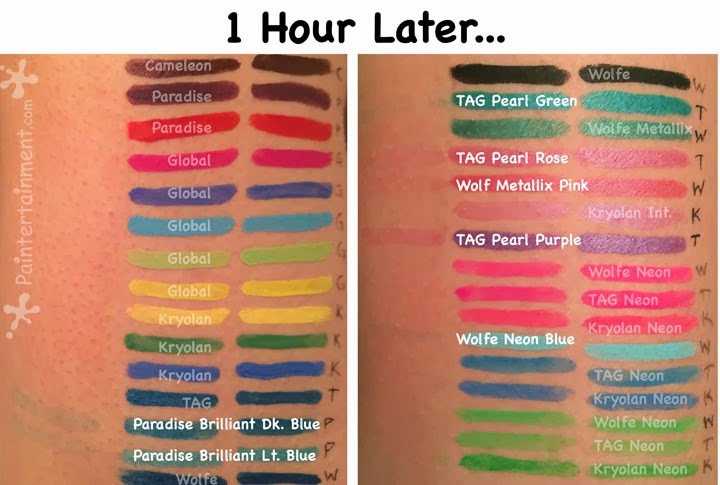 (Use code SHIP100 at checkout) And that's not the slow, show-up-at-your-door-beat-to-heck kind of shipping...it's PRIORITY mail shipping, which arrives within 1-3 business days in the continental US, with tracking and insurance....because as face painters, we KNOW how hard you work for every dollar that you spend on supplies, and we want every order to arrive in tact!! So now's the time to stock up on your supplies for your upcoming spring and summer gigs! If you're looking for even more deals, be sure to like our Facebook page, and subscribe to our FREE monthly e-newsletter. We put out at least one coupon code every month that can be used on TOP of your free shipping discount! 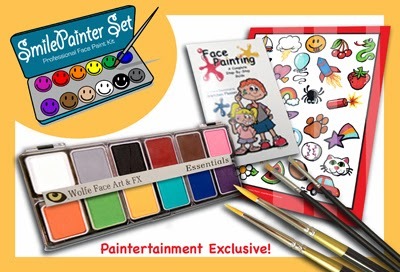 I am very happy to announce that our wildly popular Smile Painter Set is back, cheaper, and better than ever!! 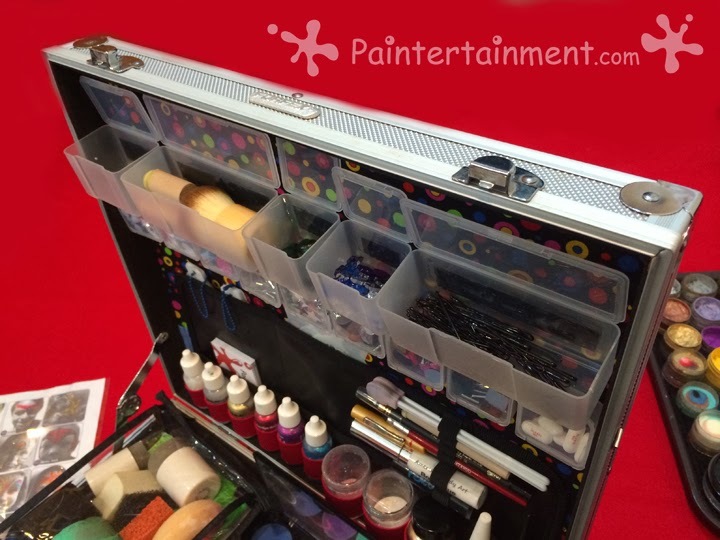 The Smile Painter Set was originally designed years ago to help aid those who have been asked to paint at their child's school or church function, having no previous experience with face painting. Putting together this kit was my way of helping out all of those people who had contacted me and couldn't afford to hire a professional, but needed some help with what to do and what to use. Some of my other professional face painting colleagues may not like that I am offering supplies and instructions to volunteers, rather than promoting the hiring of a professional. However, I know after 18+ years in the business, that there will ALWAYS be organizations out there that simply never would have been able to afford my services no matter what mind-blowing sales spiel I gave them. So, none of us are really losing business from these organizations...we are simply giving them another reason to by cheap, dangerous makeup. And to leave them with only an out-of-reach option seems irresponsible to me. I put this together to help steer these people away from the traps many of them end up falling into...so many events that use volunteers end up using craft paint, such as tempera paint, poster paints, or even acrylic paint. Sadly and dangerously, many people are under the impression that "non-toxic" means that it is safe for skin. This is oh, so NOT true. Please read my blog post on this topic to educate yourselves further! It is NOT worth saving a few bucks on paint only to leave a child with a horrible, painful rash!! The other trap these volunteers fall into, is they purchase super cheap face paint from the craft store that is not re-fillable. Besides the risk of cheap made-in-China makeup not being safe for the kids, they then end up using up all the black (or some other color), and just throw the rest away because they now can't use the palette again. 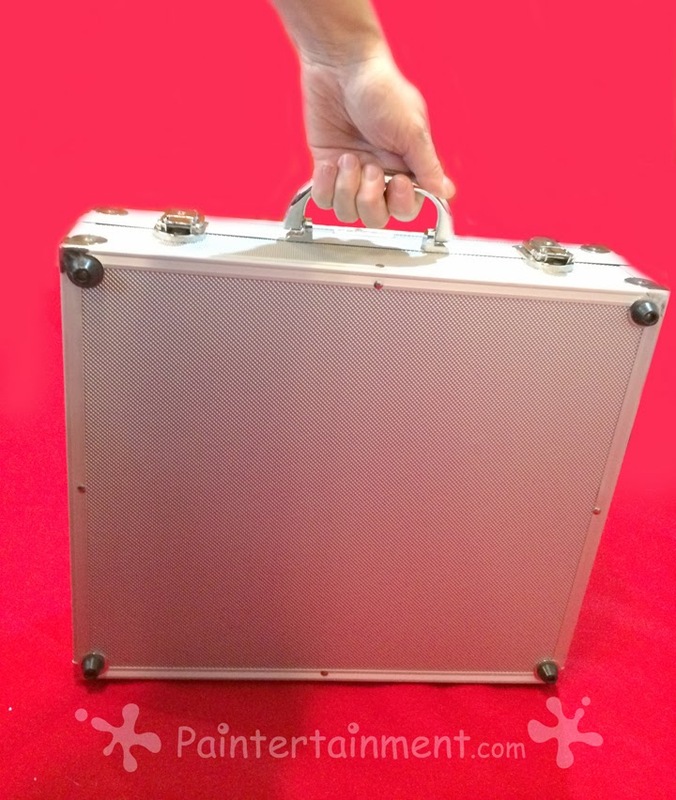 Over time, you waste a lot more money than if you'd simply purchased a re-fillable kit in the first place. 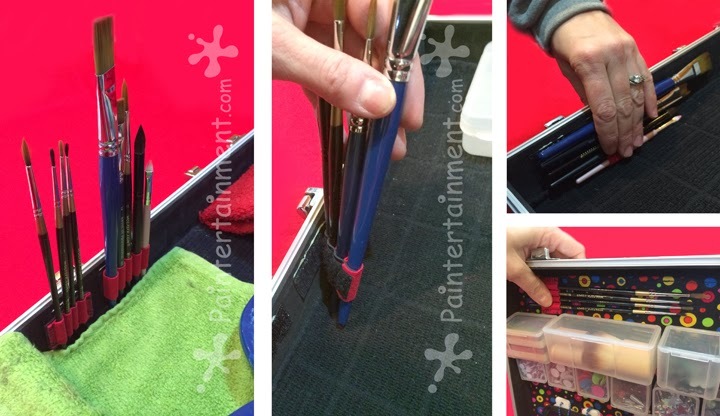 This kit has a refillable palette, so when one color runs out, they can simply purchase a refill for a few bucks. The kit can live on for every annual event the church or school does. 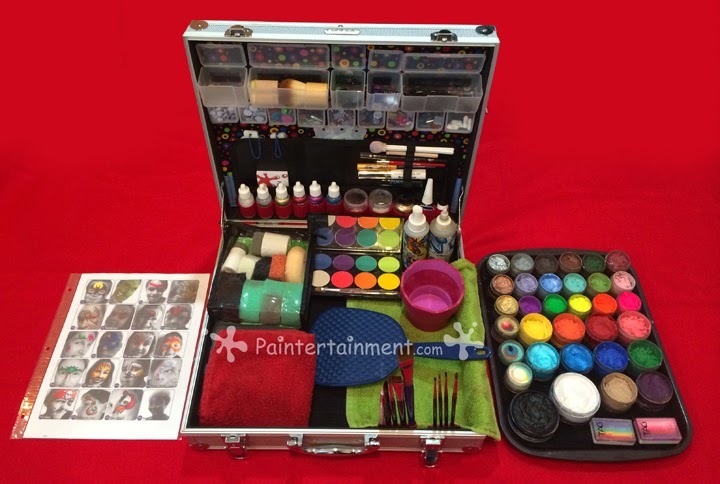 The Smile Painter Set is created to be kept by the school or church for years to come, so that they can properly equip whoever is able to volunteer with the instructions and proper supplies they need...all at a FRACTION of the cost of hiring a professional for even one hour, one time. We had to take this kit out of the shop for a little while, after some major price hikes went into effect with a manufacturer we were getting many of the supplies from. The original $60.00 kit jumped up to $70.00, which I felt still left it a little out of reach for the average school or church volunteer. 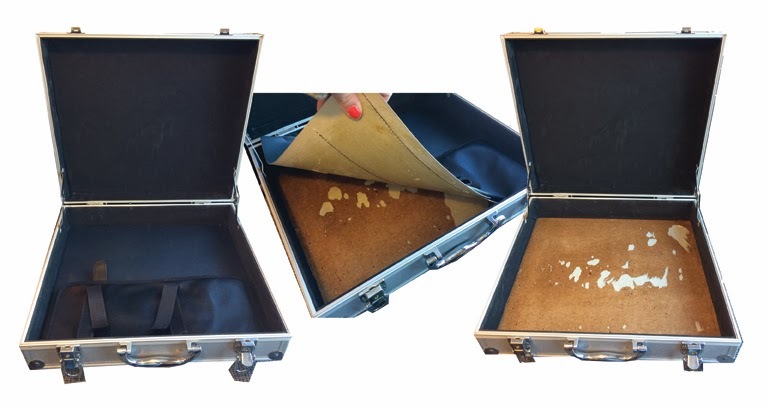 So, with some re-vamping, replacing the makeup and brushes with high quality, professional Wolfe makeup and brushes, we were able to improve the kit while bringing the price WAY down from $70.00 to only $55.00! And you STILL save over $5.00 versus purchasing every item individually! Check it out today, if you are someone looking for help with your church or school functions! 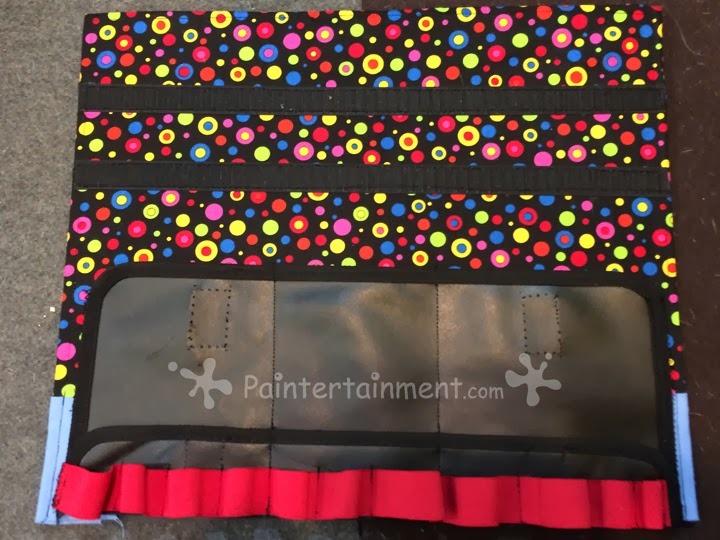 It gives you just enough of the professional quality items that you can't find in your local craft store, and the book outlines any other supplies that you can gather yourself around your home or local store. 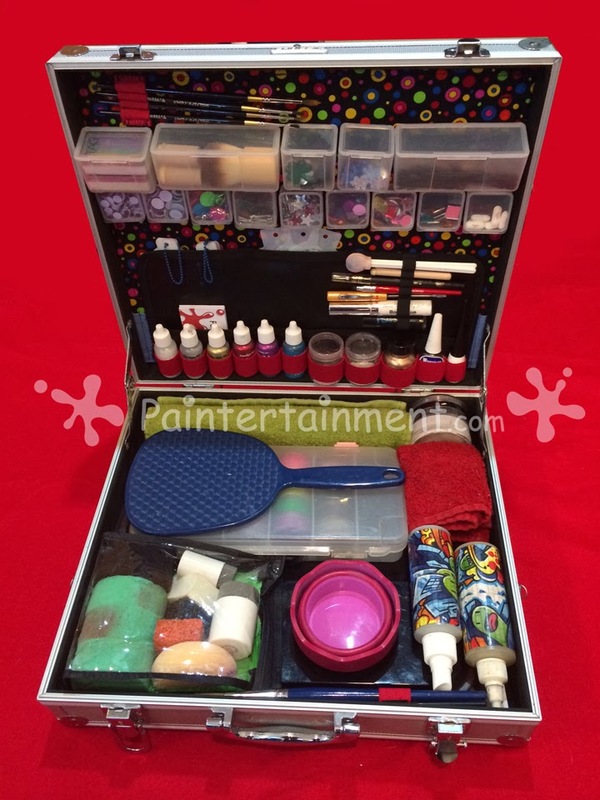 There is one other supply item that is not in the kit, as I felt that not everybody may want it included, and that is glitter. But it is very important to also stress that if you decide to use glitter, that you ONLY use glitters that are FDA approved for cosmetic use. 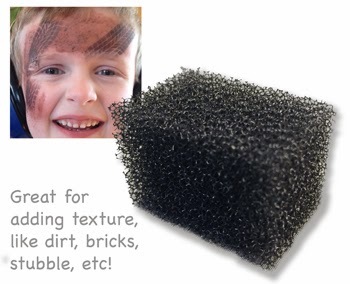 Metallic craft glitters are extremely dangerous for face painting, as they can scratch the cornea. 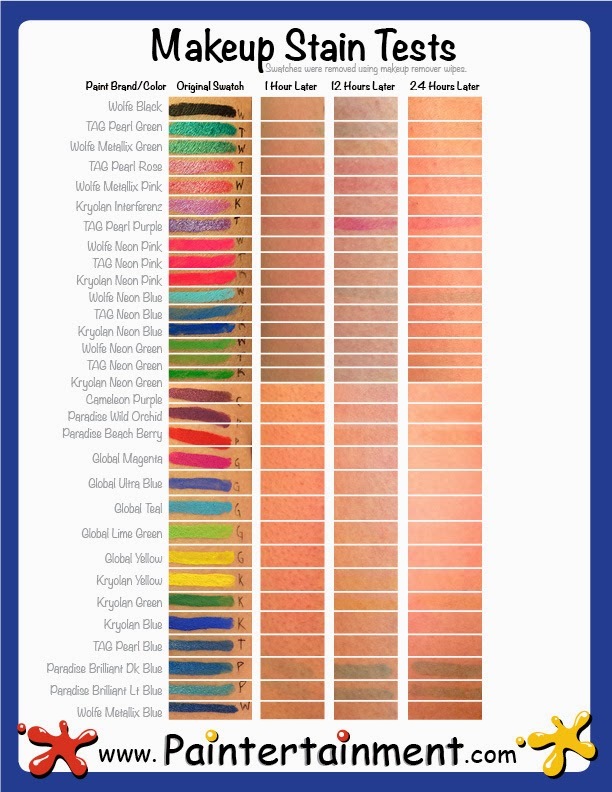 You can check out our full line of safe, gorgeous, cosmetic glitter products here! 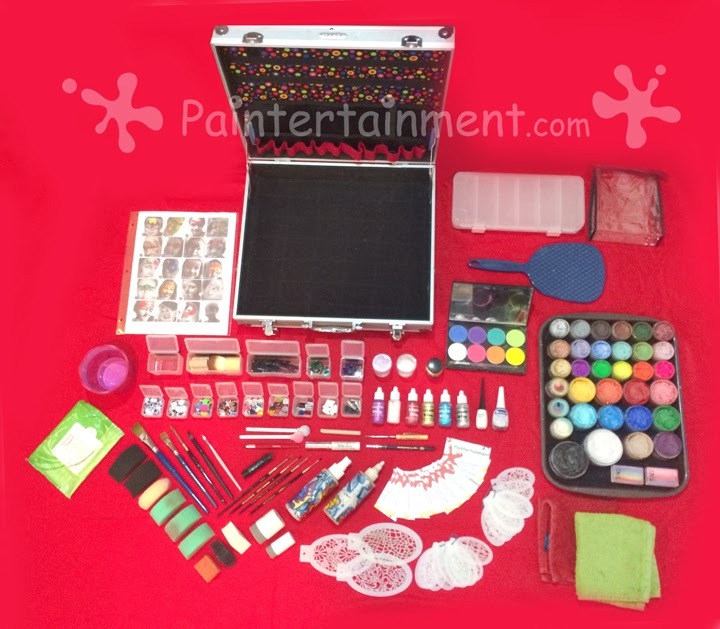 Good luck with your first face painting attempts, use safe and FDA approved supplies, and most importantly, have FUN! We've added SO many new products to the store in just the last few weeks!! Here are a few photos and links to find them in the shop. Painted with Global magenta, green, yellow, and ultra blue. 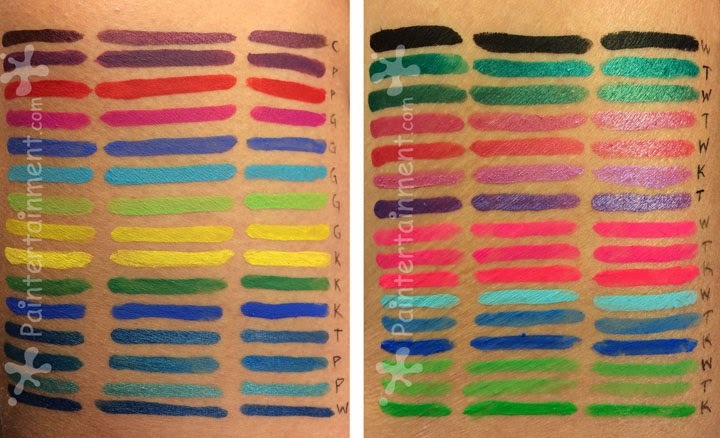 None of the Global colors I tested stained, by the way. They removed just as cleanly 24 hours later as they did 1 hour later! 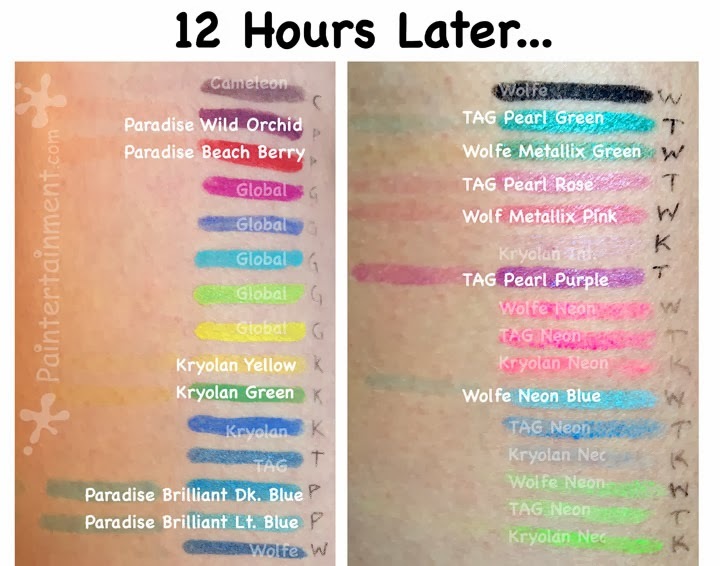 Since I will be no longer re-stocking the Kryolan palette refills as they run out, I've begun building our assortment of Paradise palette refills. 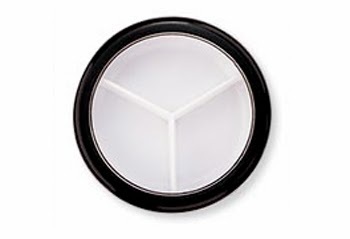 These are just $5.00 and are sized to fit in the 8-color palettes that we also sell. 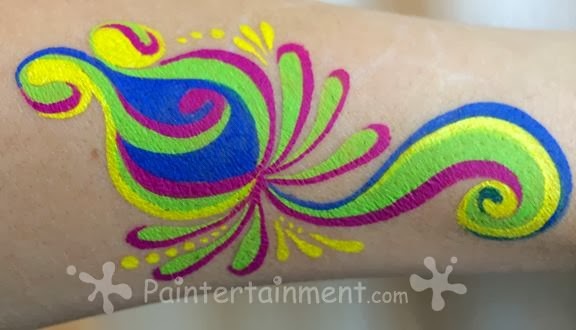 They are also great for artists looking to try out a small amount of a new color or brand, without investing in a large cake. As of now we have 10 basic colors available, but over the coming months we'll be adding more colors, including their brilliant line. 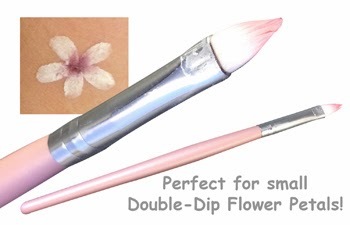 This flat tapered brush is great for making tiny little double-dip flower petals. It's similar in shape to the Fleur brush, but smaller, and only $4.00! 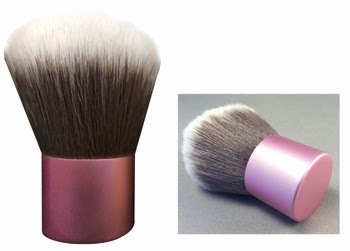 We also have a new pink aluminum kabuki brush! This is a beautiful brush, and at just $8.00, offers you a more economical option than our current $18.00 Mehron Kabuki brush. I love using these to apply rosy cheeks (using Kryolan Youth Red Blush) on my princess designs. 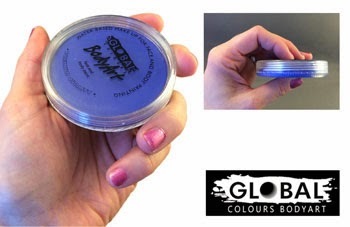 Did you know they also work great for applying base coats of color too, when used virtually dry on your regular paints? 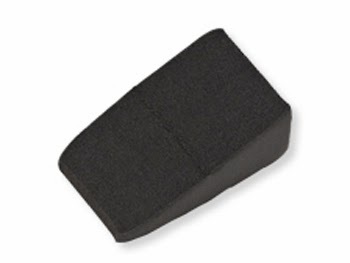 Black foam wedges, and new black stipple sponges! 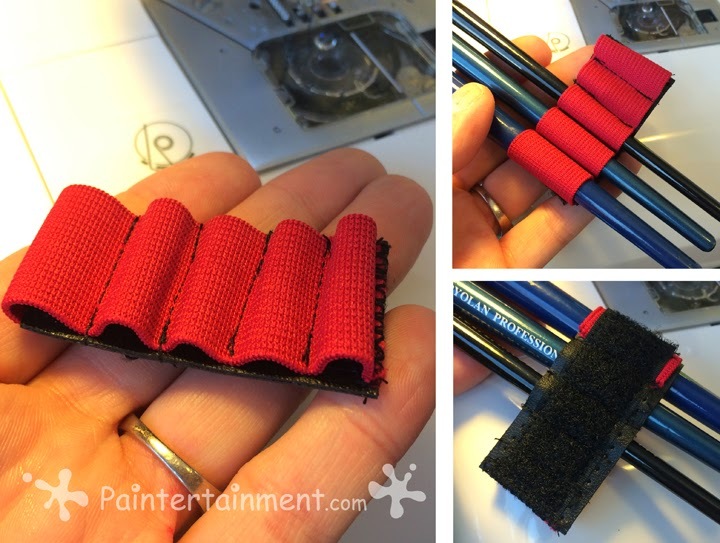 Recently we added our little paint pot strips, which are great for creating double-dip petal pots. 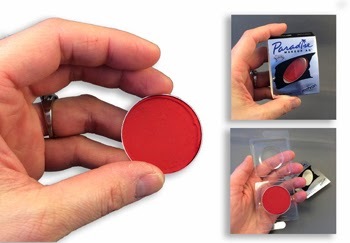 Since there are a couple ways that artists like to make their separate double-dip paints, we've also just added a new type of container: our new round, 3-section divided containers. 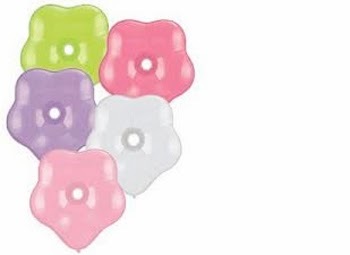 These little containers allow you to put a small amount of your three favorite petal colors in a separate container, saving your larger cakes from the inevitable white swirls that result when double-loading the tip of your brush. 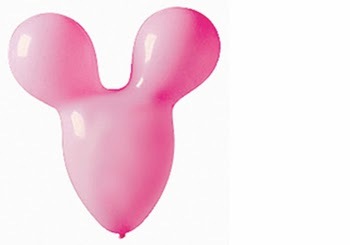 Some of our new specialty shaped balloons, now available! 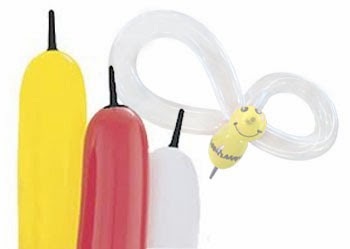 As I have personally grown as a balloon twister, so has my shop selection! 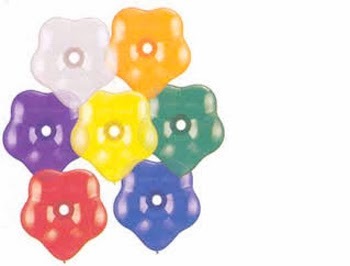 We now carry a much larger assortment of specialty balloon shapes. 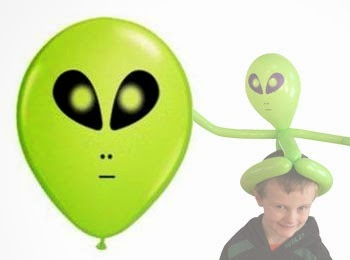 Alien Faces...fun to make into hats, put in UFO's, and just add to alien bodies! Bee bodies...they do so much more than bees! I've seen many creative things done with these. The yellow ones are great for a quick minion, and the red ones make cute apples, too! I also use them for a reel on the fishing pole! Geo Blossoms... an obvious solution for quick flowers, but they can also be used for other designs! Hearts, hearts, and more hearts! 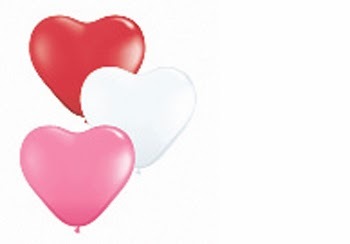 We have the "sweetheart assortment" which includes pink, red, and white! 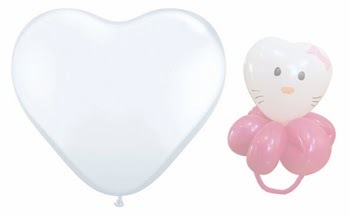 We have just plain white hearts, which are great for making cat faces, princess wands, and boquets! 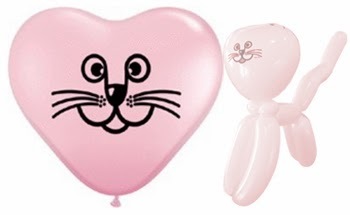 AND, we have both the pink and white heart-shaped cat faces! 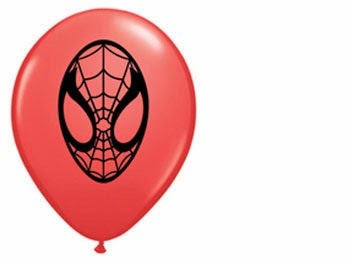 ...and Spiderman faces are great for...well...Spiderman! 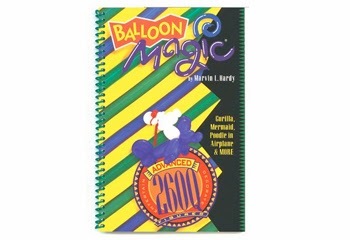 Also added to our balloon section are the series of Balloon Magic books! These books are both really PACKED with designs. The book itself is in black and white, but is full of photos to help you through each step. Be sure to keep an eye on our balloon section as it will be growing even more in the coming months. Our pocket sized balloon menus have been very popular, and we plan on creating additional pocket-sized menu cards to add to the collection. We'll also be adding more menu options and sizes soon! Here are a few YouTube videos that I learned from and was ispired by when creating all of the balloons on our new pocket balloon menu cards! Several of you have asked for instructions, so this is my attempt to share as much info as I can. I'll see if I can put together some pdf's in the future! These are all pretty basic designs, and there are many, many videos online for every one. Many of these I just figured out looking at pictures, however, I've done my best to find videos that are as close as possible to the designs in the photos, if not the same! Some I simply described below, but will add videos later if I'm able to find some. Feel free to email me though if you still have questions! 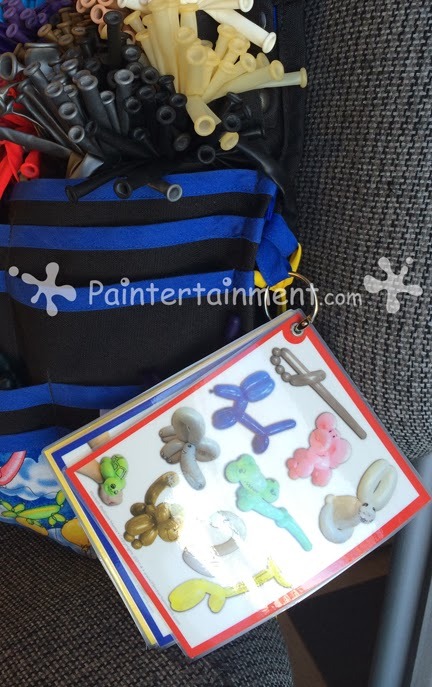 New Paintertainment Exclusive: Pocket Balloon Menu Cards! 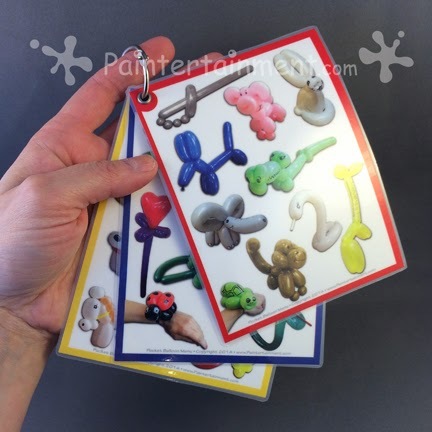 I am super excited to introduce our latest new product, which is designed and made right here at Paintertainment... Pocket balloon twisting menu cards! 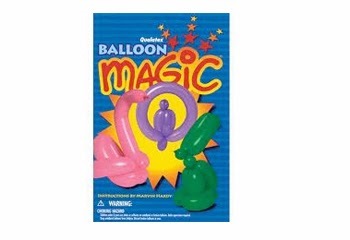 When I started balloon twisting, I loved the portability of my balloon apron, yet still wanted the ability to display some sort of visual menu. So, I came up with my own prototype of these cards that fit nicely into my apron pocket. 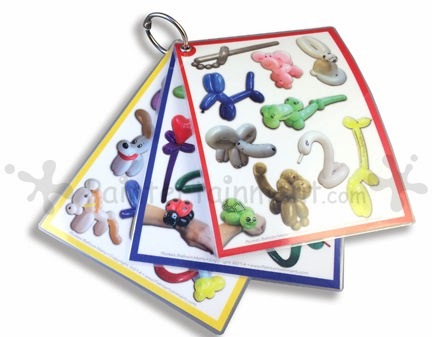 Red Card: sword, pig, rabbit, dog, alligator, elephant, turtle bracelet, monkey, swan and giraffe. If you're having trouble making these just from the pictures, I have put together another blog post full of video tutorial links to help you out! As a new twister, they were not only helpful to show the kids what I could make, but also as a visual cheat sheet for me! There were enough fellow twisters on Facebook interested in purchasing them, that I designed, printed, laminated and put together some for my online store. They are available now for $9.00! 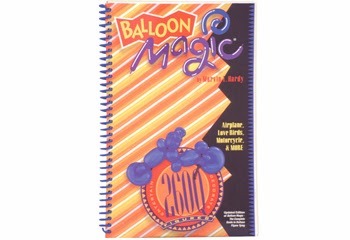 Right now they come in a set of three cards: 1-balloon designs, 2-balloon designs, and 3-balloon designs. Each card is laminated, and has a hole in the corner that is reinforced with a metal eyelet. The cards can then be connected with a metal ring (also included). In my Twist-em-up apron, I'm able to hook these on a loop, flip them around and slip them into an apron pocket without even opening the ring. 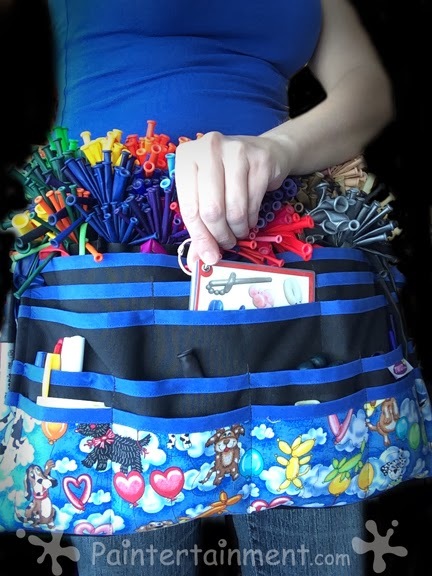 You can also attach it using a recoiling badge lanyard so they don't walk away, which is how I hold my scissors and sharpie too. And if you end up being stationed at a table, they can be laid out for the kids to look at! If you like the idea of these cards, be sure to keep an eye on the shop or follow us on Facebook for updates. I am working on more new sets of cards to add to the collection, including more advanced designs, holiday designs, and more. I also plan on adding some larger 8.5" x 11" menus to the shop, similar to my popular face painting cheek art menus, as well as a build-your-own menu option!